How will the funds be granted? Your Corporate Charities: Select any public 501c3 organization(s) in good standing as grant recipients. Quarterly distributions made in your Corporation’s name. 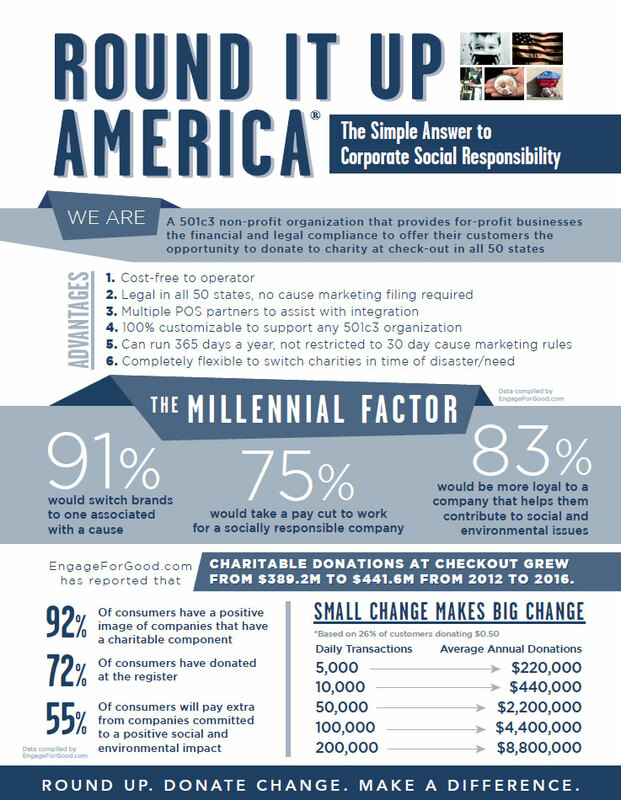 Donate now to support Round It Up America's mission to provide the platform for each and every one of us to donate change and collectively raise millions of dollars for the many charitable organizations and programs that support our communities across America. We are a 501(c)3 and the donations are fully tax-deductible! Template downloaded from free website templates, used in accordance with Creative Commons 3.0.